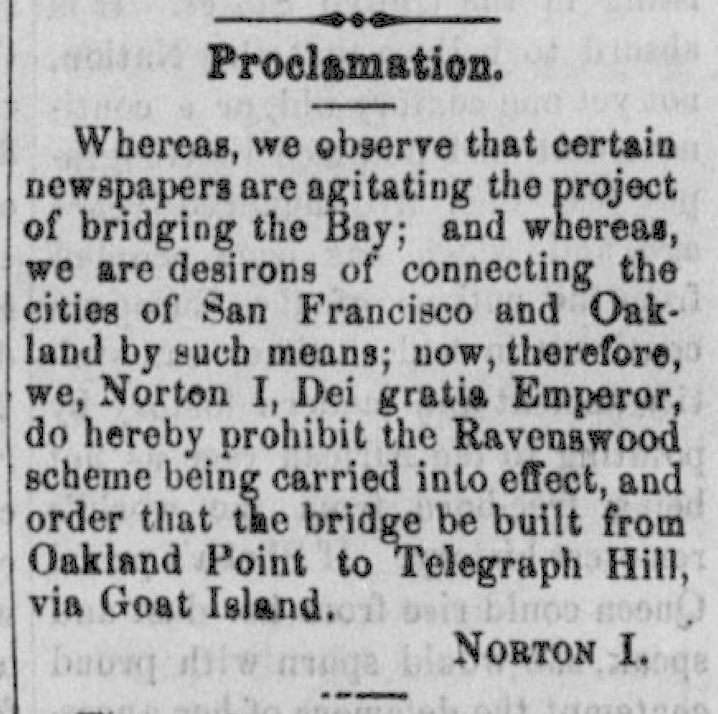 WHEREAS historical precedent clearly indicates the span between San Francisco and Oakland should be named after Emperor Norton I; by the powers vested in me, I hereby declare both the eastern and western segments to be named “The Emperor Norton Bay Bridge”. and WHEREAS whoever after due and proper warning shall be heard to utter any other abominable name with obviously no historic or other warrant THEREFORE shall be deemed guilty of a High Misdemeanor, and shall pay into the Imperial Treasury as penalty the sum of one hundred dollars. And please SIGN THE PETITION and CALL your state representative. @burritojustice also gotta specify any valid alternate forms in advance. Can't decide how I feel about "the Norton"
Here’s the first crossing video I’ve seen (sped up 4x). Some will miss the old cantilever more than others. Psychologically, I liked the cantilever better. 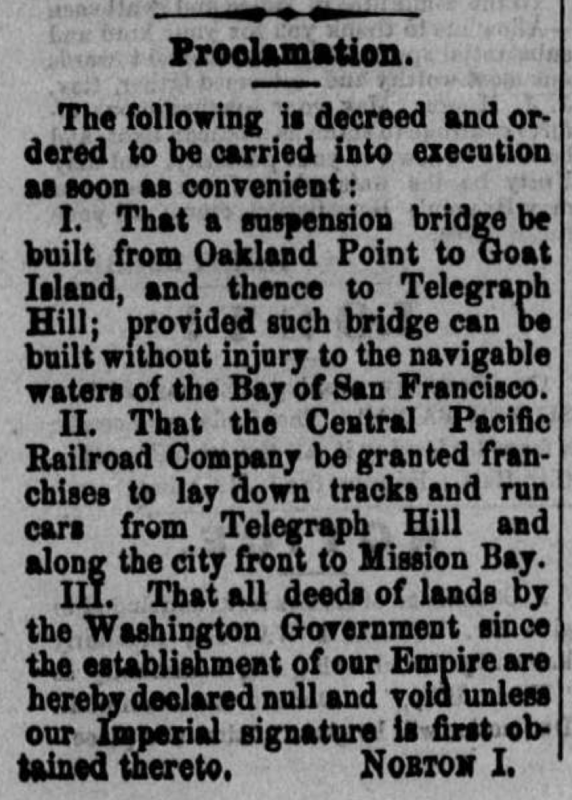 It was the only Bay Area bridge left that your kid could build with an erector set, and there was something calming about that. The view will be better on the new bridge, but I felt contained on the cantilever. If that epic gust of wind ever came up while I was driving a U-Haul, I would bounce off one of the girders and continue my journey. I wasn’t surprised to learn that engineers designing the old span in 1932 knew that the cantilever design was ugly. 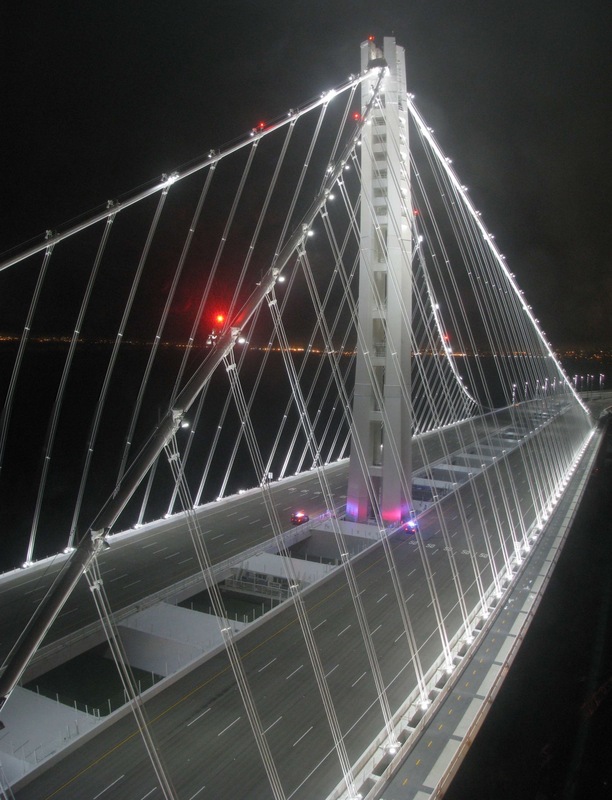 They considered several other designs, including—wait for it—a self-anchored span. But it was considered too expensive. The cantilever design was chosen not just for cost, but because the pilings couldn’t reach bedrock. …including a slideshow, and a schematics . And don’t forget those who put it together, including the 28 known fatalities (p. 199). 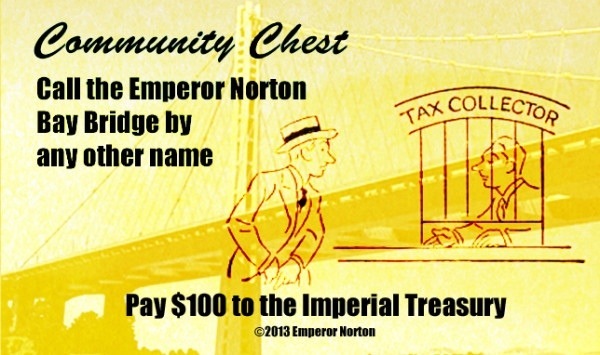 The ENB – Emperor Norton Bridge! Absolutely! There’s an online petition to make it so. Find the link and forward to everybody you know! It took them Long Enough! !